So there's no good excuse for me not getting to this sooner. Yeah, I know, believe me, I should have covered this months ago - but I'm certainly happy I'm going to be covering this before the end of 2017, especially given the mountains of critical acclaim it has received. And if anything I feel it was a long time in coming, because if there was a woman in modern rap music who has been on the cusp of really breaking through in recent years and schooling the majority of her counterparts regardless of gender bar for bar, it'd be Rapsody. Yes, Dessa will always have a special place in my heart and I'll continue to speak up for MCs like Dreezy and Noname for their respective lanes, but through her mixtapes and her pretty damn solid debut album in 2012 The Idea Of Beautiful, Rapsody made it clear she deserved more attention... which she got through big collaborations with Kendrick Lamar and Anderson .Paak, which likely helped her snag a record deal with Roc Nation and propel this album into the spotlight. And she was going big for this - her full-length albums have always been pretty hefty affairs, but getting Kendrick, Anderson .Paak, Busta Rhymes, Black Thought, Terrace Martin and primarily produced with 9th Wonder and the rest of the Soul Council was a very promising sign, I was excited for this. So yeah, I know I'm late to covering this album - I effectively had to vote it up my schedule single-handedly when nobody bothered to add it - but let's not waste time, what did we find on Laila's Wisdom? Well, it's a great record, to the surprise of absolutely nobody that's heard it, a considerable step up from her debut and mixtapes into the sort of lush, textured and remarkably well-constructed hip-hop that is right up my alley in blending tones from across hip-hop's history with a very modern focus. And at the same time, there is a part of me that's not exactly surprised that this is flying under the radar with a lot of people: while this is definitely an accessible record for any music fan, it's playing with a brand of tasteful, old-school swagger that's confident the content, amazingly layered production, and Rapsody herself will grab the ear more than any overblown hook or guest verse or trap banger. And I think we have to start with Rapsody herself - and really, while I was familiar with her debut and her mixtapes and EPs, if you just pick up Laila's Wisdom it's a little startling how much of her distinctive character is immediately on display and accessible, the sort of MC that has the naturalistic charisma to make it sound so damn easy and make you wonder why on earth she's not an integral part of the conversation. It makes a lot of sense that she works with Anderson .Paak so effectively, not just because they've got great artistic chemistry but also because they have very similar strengths as performers: the sort of commanding confidence to step into any situation and yet still deliver an emotive and expressive performance that never teeters into melodrama - Rapsody has cited Lauryn Hill and Jay-Z as inspirations, and I can definitely see it in a really good way. And while I do have an issue with how, like Jay-Z, she embraces some hard rhymes that can feel forced, her command of flows and presence in the mix are proof she deserves to be in any MC comparison conversation, regardless of gender. And gender is worth mentioning here, because while on the surface Rapsody might appear to downplay her femininity in embracing hip-hop tropes, she often takes the subtler approach to bend those tropes to highlight parallels and challenge expectations. So let's get into the content, shall we? 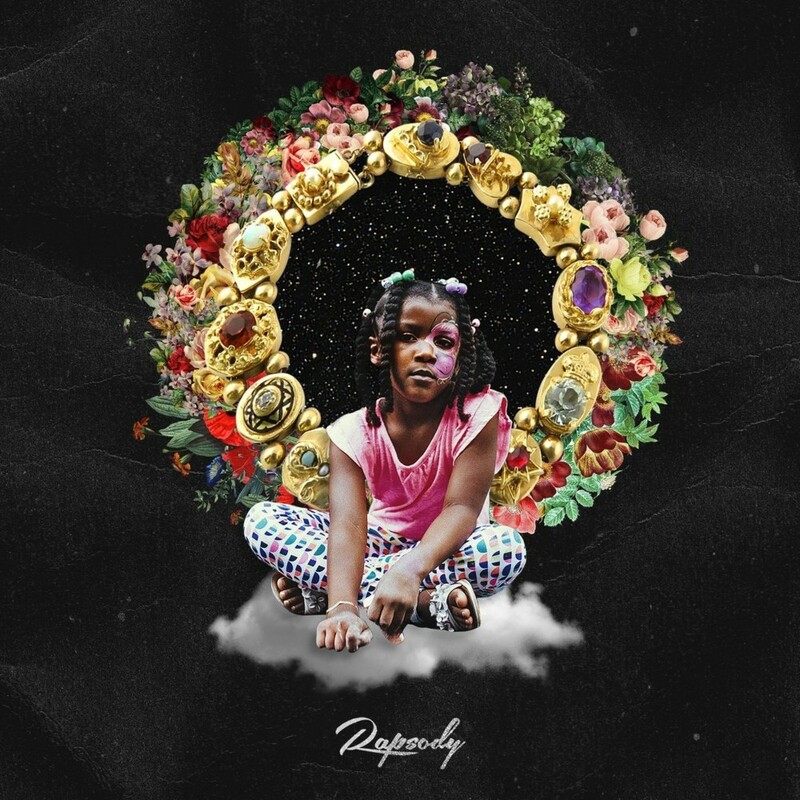 Now one of the criticisms I've seen of Rapsody in the past is that while she's certainly a spitter, she doesn't quite elevate the material into more conceptual territory, get a little more ambitious, and while I'd argue there's a grain of truth to that, this album certainly dispels any presumptions surrounding depth while not compromising the more straightforward structure of her bars. Yes, you're going to get the opening title track which is one extended verse of pure fire, but it's followed by 'Power' with Kendrick Lamar, which on the surface is pure braggadocious content but also highlighting the humility at the roots of both acts, either in the face of hip-hop culture or God. Or take a song like 'Nobody', a song highlighting how much people don't know about both the nuances of hip-hop culture or the personal stories that inform both Rapsody and Black Thought on that tune, and I actually really like how the song flips in the back half to a conversation about social media with one of her girls, of which she's not really a fan because while there are the questions for which nobody has the answer, there's a whole load of situations where nobody should have the answer. And as I said, I like how Rapsody takes traditional ideas of gender and relationships in hip-hop and subtly twists them, like on 'Pay Up' where she shows both sides of a golddigger scene and the ways guys will try to live off girls - or go to 'Black & Ugly', where she'll admit her insecurities as a woman in hip-hop but then will get in front of all of it as the strength of her bars overpowers those who'll try to judge her on her appearance or delivery. Now initially I was a tad underwhelmed by the final third of this record which slips closer to love song territory - preceded by Busta Rhymes trying and not quite succeeding to sound sensual on 'You Should Know' - but if anything it adds another layer of nuance to Rapsody as an artist, who can be dominant on a mic and in relationships... but also show moments of insecurity as the tomboy girl next door who wouldn't mind the hookup because she's lonely. And it's not her embracing an R&B style or going pop for this, but showing that softer side to accentuate that sense of balance that I like so much about this. And I appreciate how this record ends on a pretty downbeat note on 'Jesus Coming', telling three stories of people losing something in situations slightly out of their control, be it their innocence or their lives in the crossfire of gang violence or war... and then finding some shred of acceptance of that moment to find peace, the same peace she wishes on those who'd take it from her. And it also helps a lot that the production is pretty damn great too. 9th Wonder and his crew have always had a solid foundation in soul, jazz and gospel, with a heavy focus on samples, live bass, and melodic groove without the need to dive into grittier boom-bap or trap beats... but none of that means this record can't go hard. The grinding whir and firm bass melody behind 'Power' plays off the watery melodic textures remarkably well, which softens well against the prominent keys and chimes of 'Ridin' or the organic cushion of vocal samples and wiry bass and guitar anchoring 'Nobody'. And I like the breadth of guitar tones and samples chosen here from the sparse plucks playing off the organs on 'Black & Ugly' to the nervous, borderline Spanish progressions on 'You Should Know' spiking off a sharper bass and piano - the only time I didn't really dig it as much was on 'OooWee' with Anderson .Paak, and that was a song from her Crown project last year tacked on here that didn't really need to be there, especially as this record can run a tad long. Yeah, I definitely appreciate the beat switches - especially on 'Chrome' and 'Nobody' - but at the same time it also serves to double the length of songs that could have been tightened, especially when that might serve the overall tone of the track a little better, especially when this record dips its toes in west-coast synthesizers and G-funk on tracks like the upbeat bounce of 'Pay Up', or what I could swear is a pedal steel sample cutting off the bass on 'Sassy', or 'U Used 2 Love Me' with the borderline Daft Punk-esque vocals from Terrace Martin. It's more of an issue on songs like 'A Rollercoaster Jam Called Love' even if I did dig the Tony Toni Tone sample, or even on 'Jesus Coming' - I like the content a lot but the barebones sample choice didn't exactly help the momentum. But overall, as if I need to tell anyone this, it's a great hip-hop record - and from the Grammy nominations and critical acclaim you can tell many people will likely consider this her breakthrough. And while I will say there have been moments of brilliance going back the past decade, this is easily her most balanced and nuanced project to date, and definitely shows her as a force to be reckoned with. For me, this is a solid 8/10 and is highly recommended, and if you're looking for a really great introduction into Rapsody, I can see a lot of people appreciating this for that alone. This is not a record you want to sleep on, folks, definitely check this out!